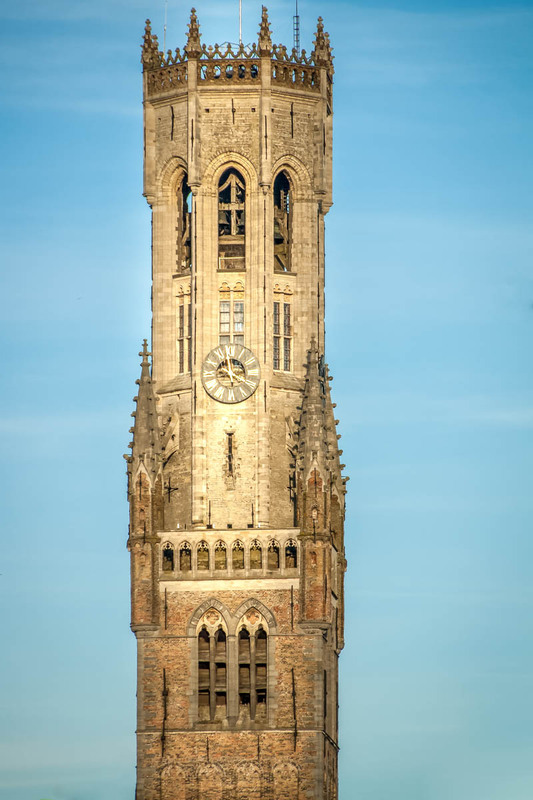 The first tower, however, was destroyed by fire in 1280. The present octagonal lantern was added to the tower between 1482 en 1486. 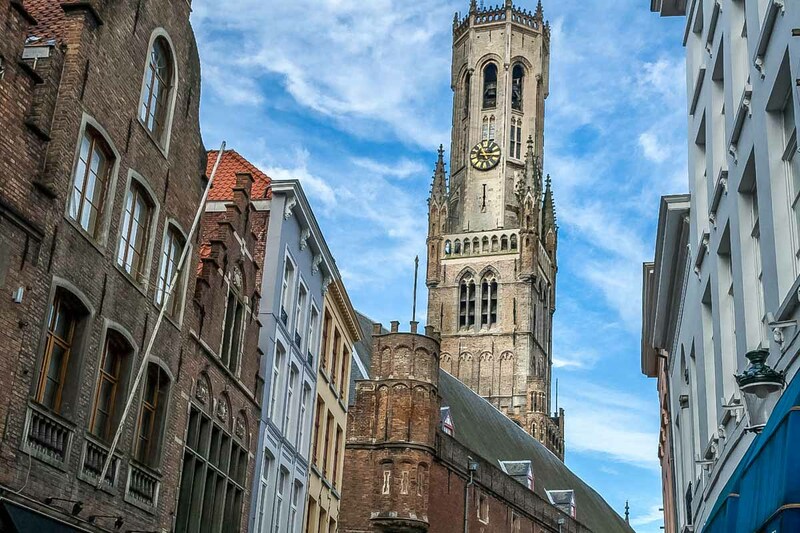 The wooden spire that crowned the tower was again destroyed by fire in 1493 en 1741. After the last fire it was never rebuilt. 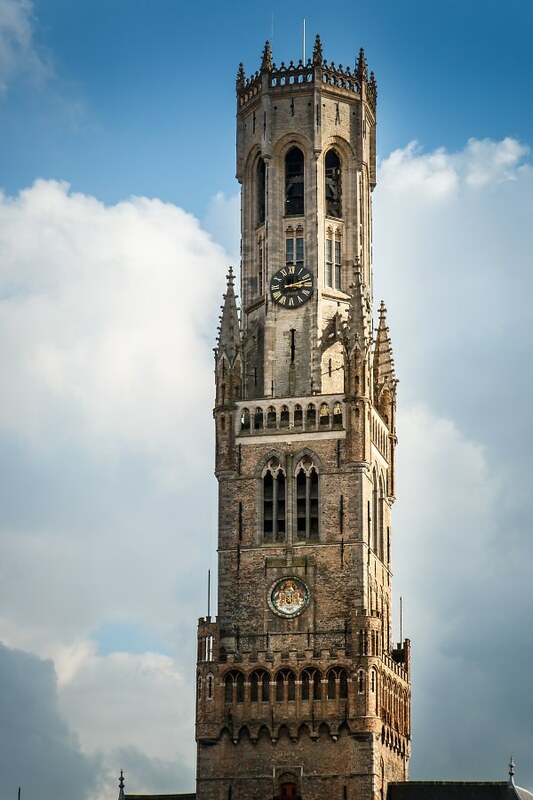 Nowadays, the belfry tower charms the visitor with the lovely music of a carillion, which consists of 47 bells. 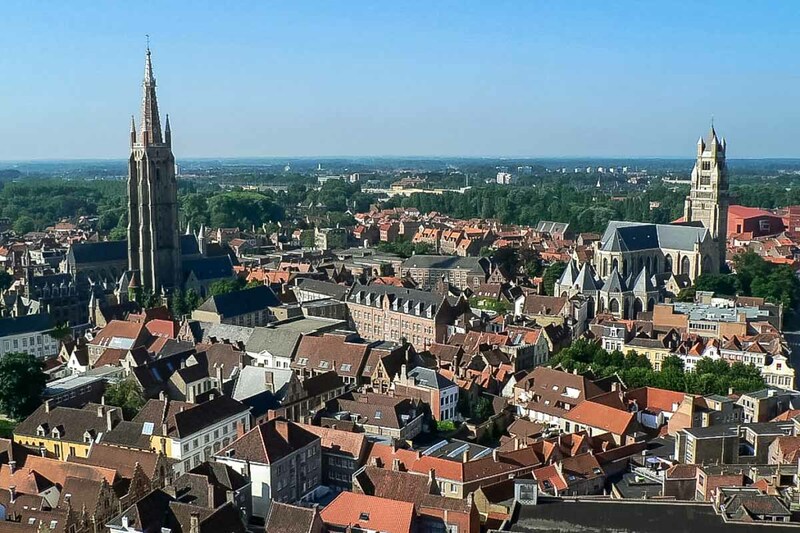 It is 366 steps to the top but the view is worth all those step aerobics! 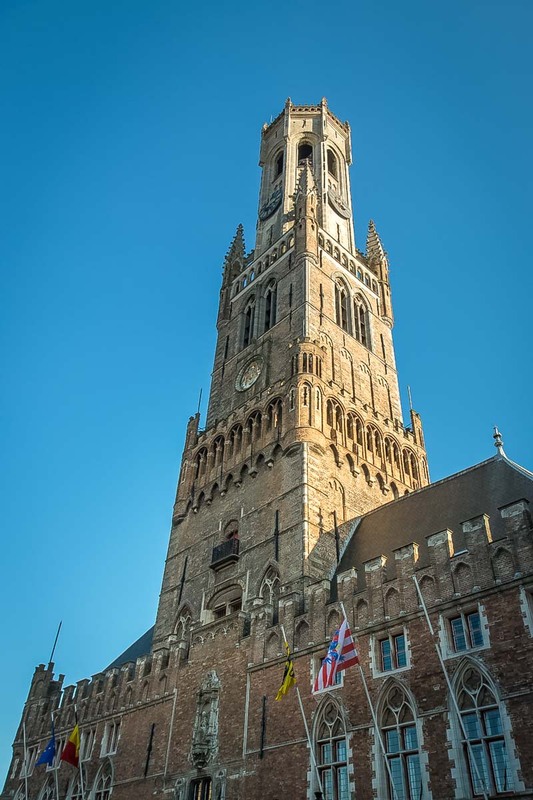 There is a possibility to climb the belfry tower but you should be aware that some passages on the stairs are quite narrow. Only a limited number of people is allowed in the tower at the same time. 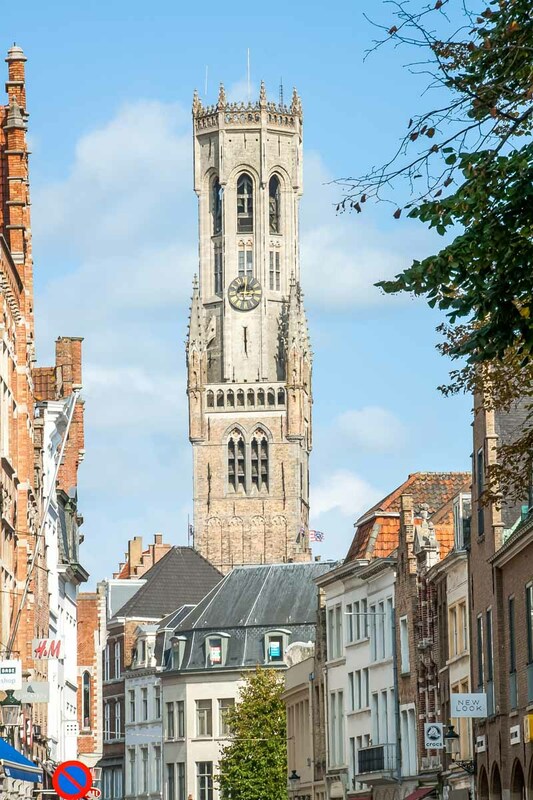 Other than chiming out bizarre tunes, the tower provides a panoramic view of Bruges. The view is superb and it is a must do. Ah yes ... . Besides, there are rest points and benches in between your journey to the top and you'll be met by empathectic fellas like yourself. 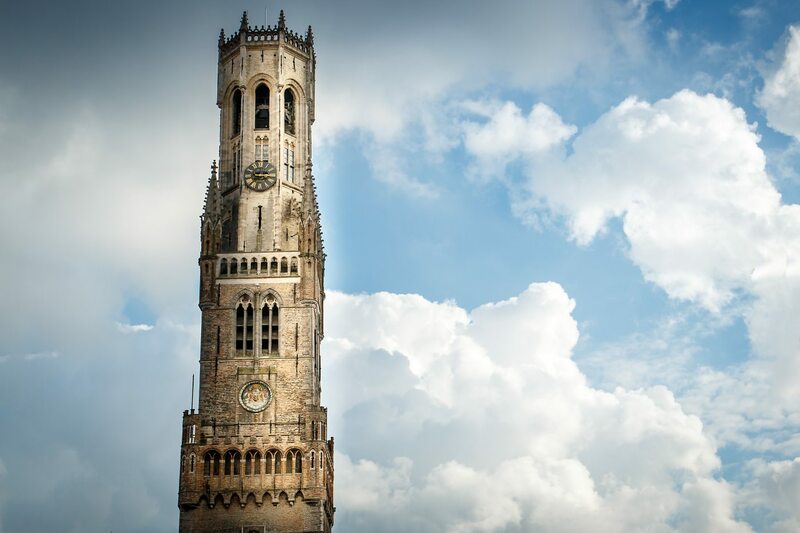 Once you reach the top, you'll get a 360 deg view of Bruges. 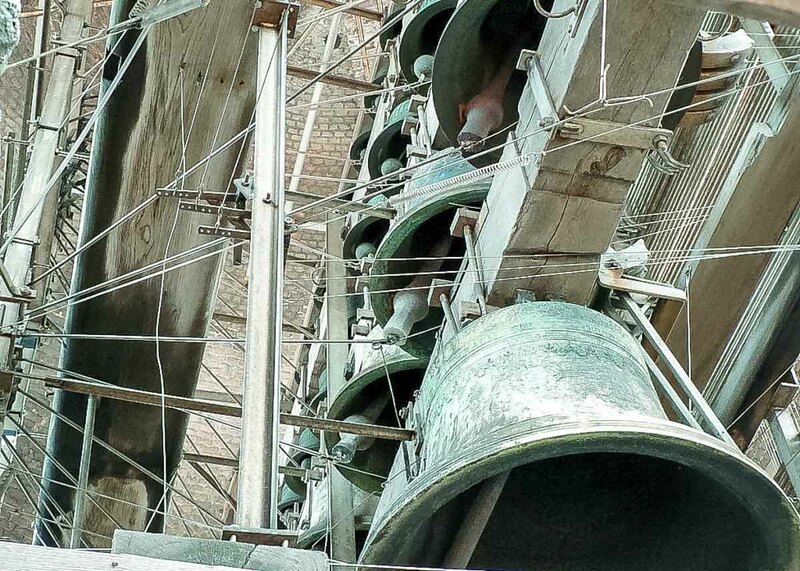 It houses, amongst other things, a carillon with 47 melodious bells. 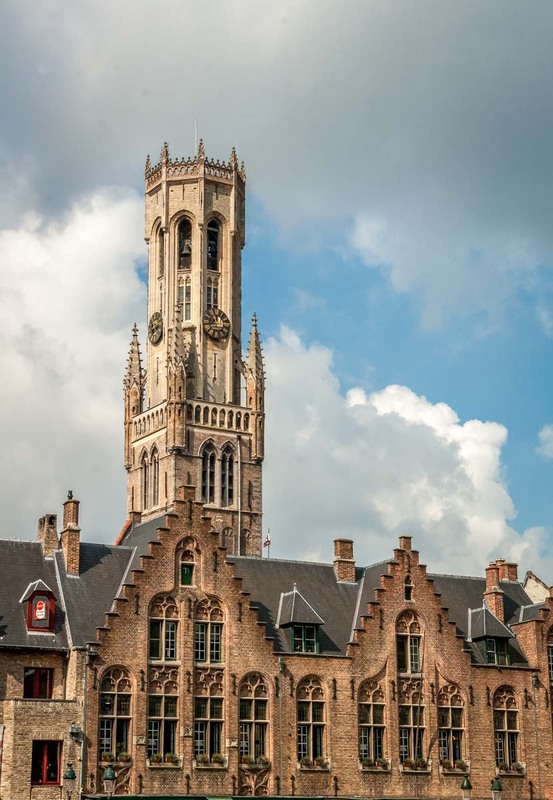 In the reception area, waiting visitors can discover all kinds of interesting information about the history and working of this unique world-heritage protected belfry. 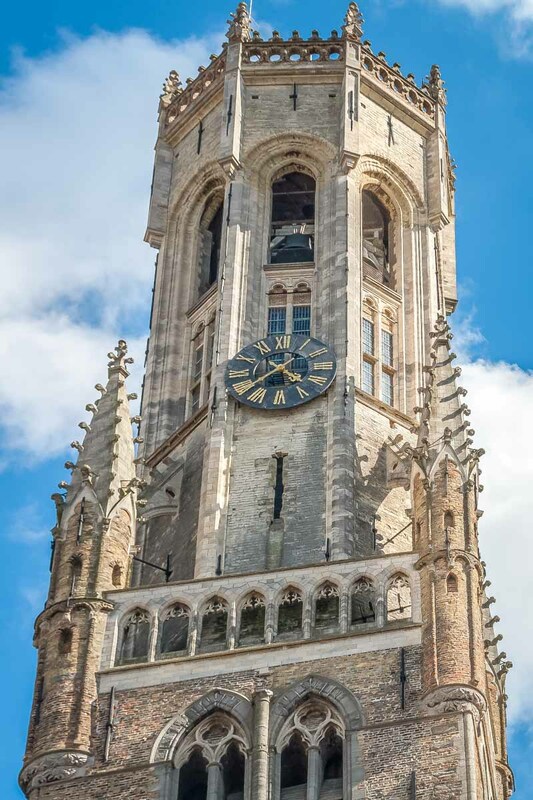 Those who take on the challenge of climbing the tower can pause for a breather on the way up in the old treasury, where the city’s charters, seal and public funds were kept during the Middle Ages, and also at the level of the impressive clock or in the carillonneur’s chamber. 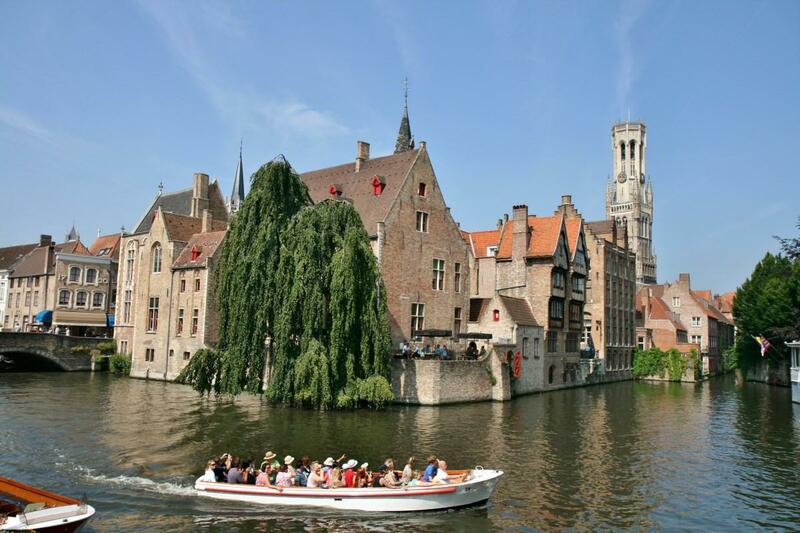 Finally, after a tiring 366 steps, your efforts will be rewarded with a breath-taking and unforgettable panoramic view of Bruges and her surroundings. The halls were built for commercial purposes. They served as a covered market and as a storage for stocking goods. You will still find a few shops in the halls but they are now mainly used for exhibitions. Short history. 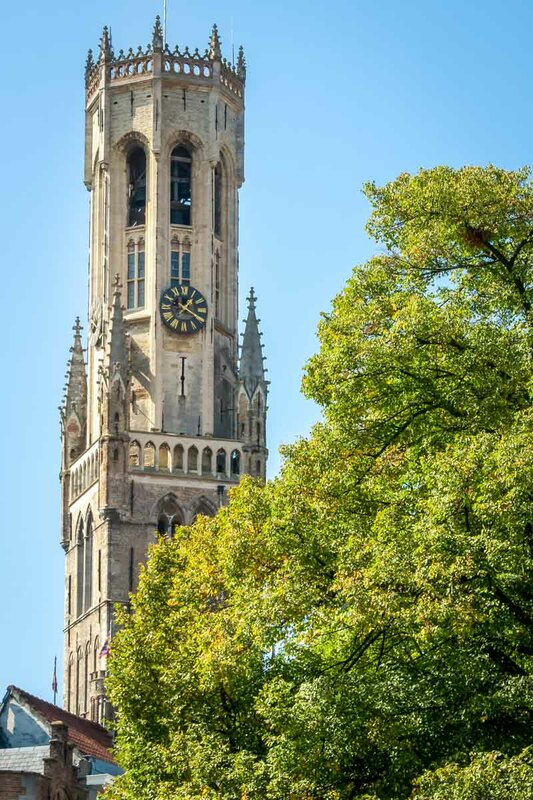 In its base, the complex dates back to the 13th century, the upper part of the tower however was only built at the end of the 15th century and used to have a peak until 1741 when a fire destroyed it. The halls and the tower were restored after each incident (E.g. a big fire in 1280) and adapted to the changing needs. You can notice several elements from different architectural styles.